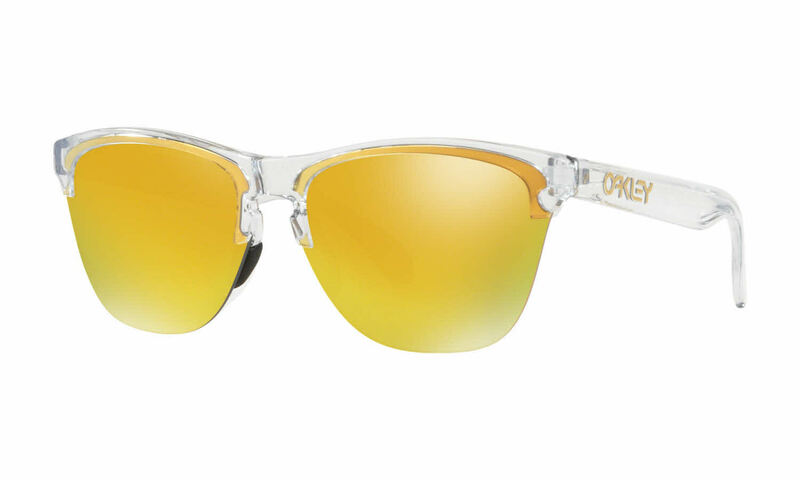 Oakley Frogskins Lite is a Semi-Rimless, Semi-Rimless frame for Men, Women, Men and Women, which is made of O Matter. Ideal for usage with: Fashion, Everyday Driving, Fashion, Everyday Driving. Oakley Frogskins Lite Sunglasses come with a cleaning cloth and protective carrying case. I recently bought this pair of Frogskin sunglasses and i must say they have been the best pair that I have purchased from Frames Direct so far. I have been a customer for several years and buy at least 2-3 per year and I only buy through Frames Direct. Shipping is super fast and they have the best customer service!! !